Belying perception that noteban hit the economy hard, the government data released Thursday revealed the highest growth rate during the Modi-government was recorded at 8.2 per cent in 2016-17 financial year. The Central Statistics Office (CSO) has revised the growth figure for 2016-17 -- the year in which 87 per cent of the circulated currency in form of Rs 500 and Rs 1,000 notes was demonetised -- from earlier estimate of 7.1 per cent. "Real GDP or GDP at constant (2011-12) prices for 2017-18 and 2016-17 stands at Rs 131.80 lakh crore and Rs 122.98 lakh crore, respectively, showing a growth of 7.2 per cent during 2017-18 and 8.2 per cent during 2016-17," the CSO said in its First Advance Estimates of National Income at Constant (2011-12) for 2017-18. As per the CSO, the GDP growth was 7.4 per cent in 2014-15 and 8 per cent in 2015-16. 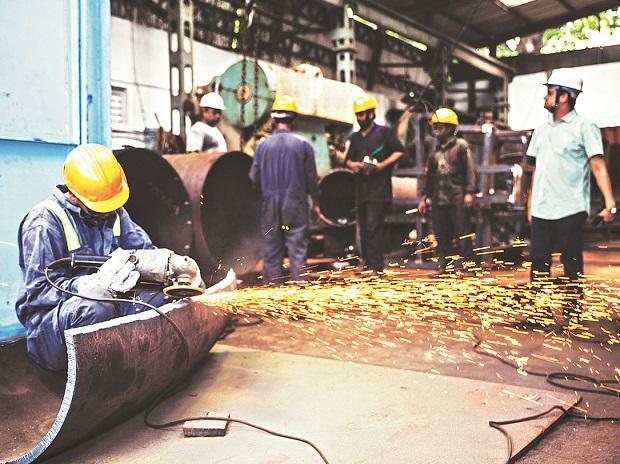 The CSO has estimated the Indian economy to expand at the rate of 8.2 per cent in the fiscal ending March 2019. The Narendra Modi-led government assumed office in May 2014. On November 8, 2016, Prime Minister Modi in a televised address to the nation had announced demonetisation of the old high-value currency value notes. Following the announcement, several critics and also several government functionaries had expressed apprehension that the move would temporarily hurt the country's economic growth. The CSO Thursday released the first revised estimates of GDP for 2017-18 along with second revised estimates for 2016-17 and third revised estimates for 2015-16. Earlier estimates for 2011-12 to 2016-17 were released in January, 2018 and provisional estimates of 2017-18 were released in May.